This VM95 Series cartridge with 2.7 x 0.26 mil Shibata stylus fits half-inch mount turntables. The cartridge offers excellent channel separation and low distortion for outstanding tonal quality. The AT-VM95SH is equipped with dual moving magnets that are positioned to match the left and right channels in the stereo record groove for outstanding channel separation and extended frequency response. 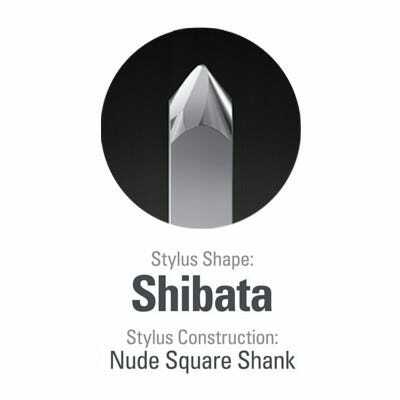 Originally developed for playing 4 channel vinyl records that demanded superior high-frequency reproduction capabilities, a Shibata stylus offers greater detail in high frequencies as well as rich mid and low frequency information.